Scottish music in Australia. Band playing on bagpipes. 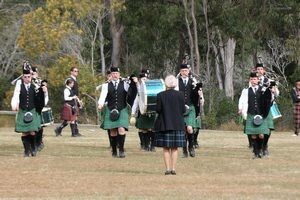 The Scottish Clans Congress of Queensland has thrown its annual gathering, ‘Scotland in the Park’ at Middle Road, Greenbank (Queensland, Australia) on Sunday, 19 July, 2015. On a video you may enjoy one of the bands playing Scottish music (bagpipes). Don’t forget to subscribe if you want to be first to know once new videos about life in Australia will be published. Stay tuned – another video coming soon.